If you’ve followed me on Twitter the past six to eight weeks, you’ve probably noticed some cryptic Tweets about a new storytelling/podcast project I’ve been working on alongside Angry Staff Officer. 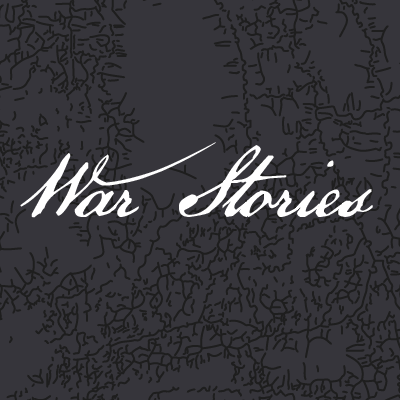 Last week, we announced the show, War Stories, to those outside the small group we asked to serve as beta listeners of the project. I’m pleased to announce that after receiving their feedback and making the necessary edits, we released Episode One on iTunes, Google Play, Stitcher, etc. yesterday. Though we’re still getting the hang of doing a more production-intensive show rather than one just focused on cleaning up audio and piecing together a conversation, we’re really pleased with the model that we’ve come up with and we’re eager to continue our first season on armor. The show itself is a narrative history show centered on telling the stories behind points in the development of warfare. In each season, we’re taking a topic of warfare and picking out key moments and people who exemplify those moments. The central focus in each episode is telling the story of one of those people, but we’re also weaving in contextual details in order to give a solid foundation on which to base your understanding. Share it with a friend/family member/colleague/Tweep — We’re setting this up to be a serious project and we think its model appeals to all sorts of people. Getting it outside of our own networks is a big goal on the administrative side of that. Rate and review it on iTunes — this is another way for us to reach outside our own networks. We have about eight weeks post-launch to maximize the potential real estate that iTunes offers us. We’re obviously going to continue past that time, but steadily increasing listenership, reviews, subscriptions during that time goes a long way.